and destroy them, then you will be ready to fight the enemy you can see." 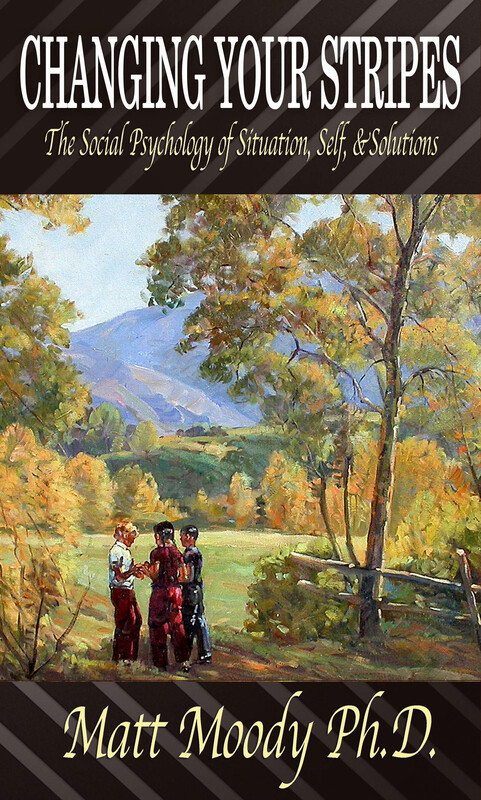 Al-Ghazali makes a praiseworthy point, and had no intent to deceive; his motive was to speak the truth. Yet within his Words is a subtle deception the skews our perception of reality: Why does Al-Ghazali say that attributes like "arrogance and intolerance" are invisible — why does he say that "selfishness and slandering" can't be seen? Truth is, personality traits of Arrogance, Intolerance, Selfishness, Slandering, etc., are NOT invisible. Of course you can See Selfishness — how else do who know when a person is being Selfish, unless you witnessed that person being Selfish? You see, all Word-Ideas are Representations that point to a Referent existing in the Real World. So at the level of Words and Ideas, you might say Selfishness and Arrogance are invisible. But every Word-Idea points to an Actuality in the Real World. And while the Idea IS invisible, because all Ideas are thoughts held in one's head, yet the Idea-Word points to, and represents something in the real world — and that actuality is absolutely NOT invisible, but is easily Seen and Witnessed. Again, ask yourself this question: "How do I know when a person is being Arrogant, unless I See it?" So in reality, all 13 of Al-Ghazali's 13 unseen enemies, are actually Seen! When someone is "Gossiping" you See it! When someone is "Slandering," again, you See it. Why do people so easily accept Al-Ghazali's suggestion that we "cannot see" the 13 Enemies? Most likely it is because of the Inside-Outside Illusion that is inherent within language. 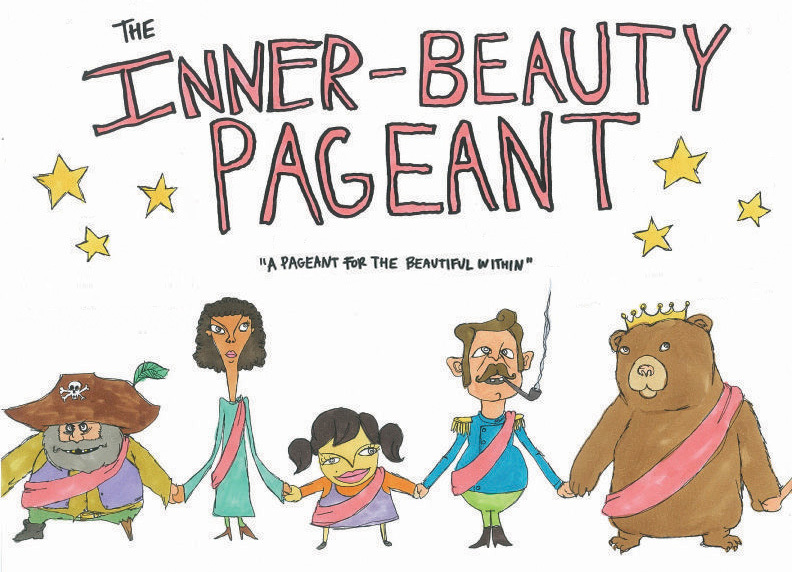 When we speak of a Beauty Queen, we refer to physical attributes like a pretty face and figure, as Outside Beauty. Whereas, we refer to personality traits like a compassionate character, as Inside Beauty. Now this may surprise some people, but Pretty Face and Figure as well as Compassionate Character are both OUTSIDE characteristics! Be patient and I will explain. During my doctoral program I was enrolled in a Sociological Theory class. I remember the class clearly, because it was the first time in my schooling-career that I was assigned 10 Ten Text Books for 1 One Class — that's Ten ... T E N ... as in "Ten lords a-leaping." Maybe at schools like Harvard 10 Text Books for one class is commonplace, but in my experience, when you took a class, you always had ... a text book ... for a class. And the text was was always called "the text" -- singular, un solo libro. After getting over the SHOCK of having ten text books for one stinking class, I remember a particular lecture when my professor presented the prospect that the Conception of Inside & Outside was an Illusion — that descriptions of Inside & Outside as to human personality traits were an Unreal Mirage created by words. I thought to myself, but many personality traits are Inside, because you can't see them. An attribute like Love is completely invisible, ... or so I thought at the time. Possibly because cultures tend to be materially and physically oriented, or maybe because motion pictures weren't invented until 1890, this may explain why the Outside-Inside Illusion is perpetuated by the languages of many cultures. Here's the reasoning: If what we SEE can't be captured in a single Snap Shot, we falsely imagine that a personality attribute is contained within a person — thus an Inside Attribute. Simply because "Love" is not a physical attribute and can't be captured by a single camera snap shot, some falsely imagine that "Love" is an Inside Attribute; that's what words have suggested for hundreds of years within many cultures. But the attribute of "Love" is a Way of Being, and while "Love" most often cannot be captured in a single Snap Shot, Love is easily Seen in a Motion Picture — moving photographs that can capture and portray a person's Way of Being. So just turn on your video camera and all 13 of Al-Ghazeli's invisible, unseen attributes are suddenly Seen! They are Seen over time and through experience. something "Inside" and "Invisible," we can easily See Kindness over a few minutes of time. Sometimes our words unwittingly suggest inaccurate ideas and images that we do not intend to express. This happens because inaccurate ideas and images naturally exist within languages; the distortions are part of our culture and naturally pass-on a perceptual orientation via socialization — we simply learn to speak of Inner Beauty because that is the cultural norm and a traditional Way of Speaking. But beauty of face and figure as well as beauty of personality traits are both Outside Attributes that can be Seen. Physical attributes are immediately Seen in the moment and captured in a single camera snap shot, while Personality traits are Seen over time and through experience and captured in a motion picture. Physical traits and personality traits are displayed and discerned Outwardly. How else would be know if someone possesses Inner Beauty, unless we saw it? Now it is true, that when we introduce a new friend to others, the people unfamiliar with this new friend's history cannot See any personality traits, yet. They only appear as Human Beings "Be" over time and through experience. In terms of Outside and Inside, there are some "things" that are literally Inside, like: a pair of lungs and your liver, a couple of kidneys, bones, brains, stomach, etc. But being Loving and being Kind, these attributes are completely Outside —	because they are outwardly expressed and outwardly discerned. With the example of Inner Beauty, we can see how people can use words in a way that unwittingly distorts an accurate conception of reality — our words can twist the way things really ARE. And such unwitting distortions happen via "linguistic conditioning." "Words, and whatever words may suggest, are not the things they stand for. rather than enlightened and liberated by it." 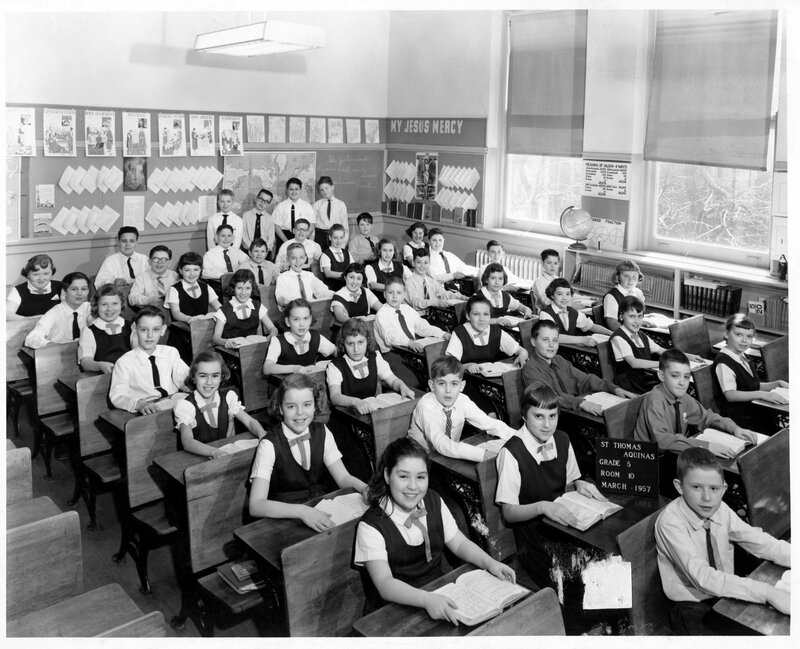 The necessity of needing students to sit at desks hour after hour, to maintain order, leads students to believe that "education" IS writing words and hearing lectures. So students are oriented to think that "education" is about defining words, hearing words, speaking words, and writing words. And "education" is indeed that, ... but there's a final piece to the education puzzle that CAN'T be learned by sitting at a desk. The final piece to the Education Puzzle appears as we connect Words, and what Words Mean, to the Realities represented by Words. So the final piece to the Education Puzzle is ... direct, hands-on Experience. "We cannot learn something unless we already know it"
Sounds contradictory, right? By understanding the Learning Paradox, we See how Words and Ideas combine with direct, hands-on Experience to bring about Knowledge. In the end, an Idea must be known at the level of Experience ... before an Idea can be known at all, or else, what the Student has ... is just Words. And that's what Propaganda is ... just Words — specifically, Words that do not faithfully fit Reality. On one hand, we expect that credible words should be faithful descriptions of Reality. When we read words written by authoritative authors, we expect that their descriptions will consistently correspond to Reality. On the other hand, we live in a world where many people cling to their comfortable pre-judgments of reality, where one ideologue will express one prejudice, and another ideologue will say the opposite — and neither will care that much about the Reality of Facts, unless it happens to agree with their bias. Such people are lost in a world of Rhetoric (the commonly spoken and commonly accepted Talking Points of a particular Belief or Ideology) — this distorted world is created by comfortable Words we want to hear, because they fit our pre-judgments. In the Bible, comfortable Words that fit our preferred pre-judgments are heard by "itching ears" — meaning "ears" that are hearing ... what they want to hear. from the truth, and shall be turned unto fables." "I have the Truth, I see Reality ... the way it IS." So how do we sort through this war of words? It's really quite easy: You simply ignore the rhetoric coming from entrenched Ideologues and keep a lazer-focus upon the Facts! Let the Facts create a Word-Narrative devoid of any and every political motive or religious bias. This is precisely how objectivity proceeds within science. In my Doctoral program I learned how to design methods that would allow Reality to speak, and let Reality say ... whatever it will say. Many people want the Facts to fit comfortable preconceptions of Reality; rather than letting the Facts simple determine the nature of Reality. 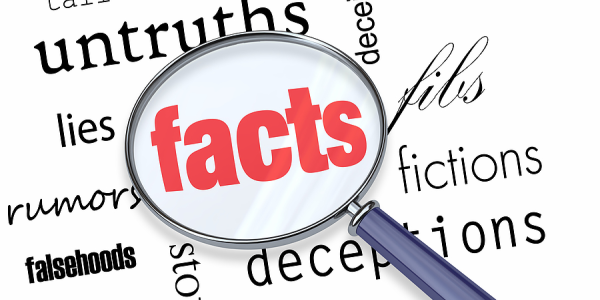 When Facts don't fit Reality, for some people, it's easier to ignore the Facts than to change comfortable pre-judgments — especially prejudices that are shared by family members, or by friends, or by business associates. This means most people get comfortable with their pre-judgments, and in turn, these pre-judgments, a.k.a., prejudices, are shared and reinforced by one's close associates. Person #1 is called an Ideologue, a person so committed to a prejudice that he or she is blind to, or at least resistent to, hearing and heeding what Facts may say. Person #2 is called an Honest Person, a person so committed to the Truth that he or she is willing to go against popular trends, and defy politically-correct movements. An Honest Person will simply let the Facts speak, and will follow the Facts and be faithful to the Facts. 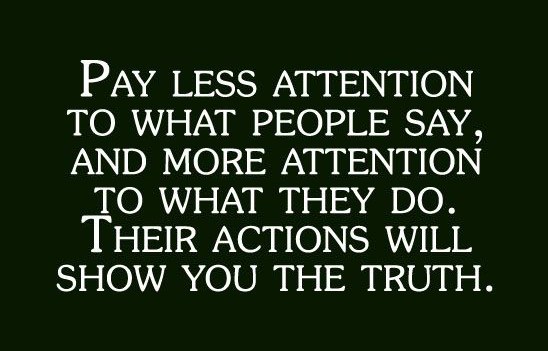 When people are honest, they will simply let the Facts say ... whatever they will say, letting the "chips fall" where they may. An Ideologue will unwittingly or intentionally cause Facts to take a back seat. For the committed ideologue, pre-judgments flowing from one's ideology are primary; thus Prejudice takes a front seat, while Facts are used only when the Facts happen to agree with one's prejudice. Because the thinking and assertions of Ideologues will often clash against the Facts, therefore, dishonest ideologues are in a continual process of peddling propaganda and spinning rhetoric to rationalize and reinforce their pre-judgments, their comfortable prejudices. 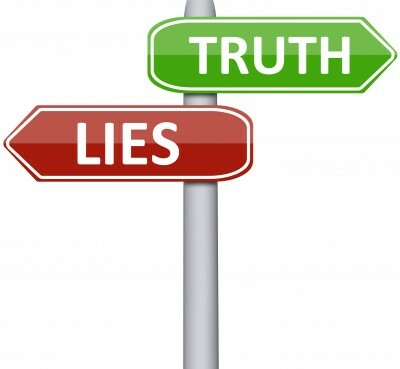 Instead of faithfully shaping Words to wrap around Reality as it IS, the ideologue will proceed to twist Words to create a Narrative that fits the Reality they wish to project, even though this so called "Reality" is not real at all — it is a contrived Illusion, and the Words used to create the Illusion are called Propaganda. "The problem is not Intelligence Services, it is political correctness and the narrative. doesn't fit the narrative that, 'we've already won the war against Al Qaeda,"
if something doesn't fit, then they fiddle with the facts to make it look OK."
"Bowe Bergdahl served the United States with honor and distinction." It's hard to imagine that the Commander-In-Chief didn't bother to read the Military Report on Bowe Bergdahl's disappearance in 2010, where a Pentagon investigation concluded that the evidence was "incontrovertible" that Bowe Bergdahl walked away from his Army post. And back then, there was no Political Motivation to want the Fact to be this way ... or that -- the investigation simply documented what happen. However, in 2014, and in light of the 5-for-1 prisoner swap, the White House may try to SPIN history. Most likely, they will claim he was suffering from PTSD and wasn't in his right mind -- so who can blame him for deserting his Army post. But back then in 2010, the investigation simply Followed the Facts. But in 2014, the White House has a Political Motivation to do as Former CIA Chief suggests: Fiddle with the Facts to change the "Narrative" to one that puts Barack Obama in the best light possible — that is what this White House absolutely do, for that is their persistent pattern. But given the Fact that Bowe Bergdahl walked off his Army post, the White House has tried, and will continue to try, to create the Illusion that Bowe Bergdahl served the United States with honor and distinction? President Obama has chose, and will continue to choose, to spin a Word-Narrative that fit what he wants to be True, even though it is not True. In this particular case, President Obama has behaved, and will continue to behave, as an Ideologue with a self-serving agenda, instead of choosing to behave like an Honest Person. Concerning the case of Bowe Bergdahl, clearly the White House didn't anticipate that men serving with Bergdahl on the ground in Afghanistan, might speak up and say, "Hey, I was there, I saw Bowe Bergdahl walk away from his platoon." Once those who knew the truth, spoke out about it, then Political Ideologues have attempted to discredit the testimony of Bergdahl's platoon mates. This analysis about the President and his Team may seem harsh, but it's a factual report of Reality. Evidence shows that President Obama has a consistent pattern of contriving Word-Narratives to fit his political agendas, instead of faithfully wrapping Words around Reality, and then, honestly relaying that Truth to the American public. But instead of relying upon eye-witness testimony about Bowe Bergdahl, Obama's White House contrived Word-Narratives (Propaganda) to fit their political agenda: 1) draining Guantanamo Bay of its prisoners, that Gitmo might be shut down, and 2) Creating a News diversion away from the VA Scandal, among others. In order to make the 5-for-1 trade look good, the White House had to spin a Narrative that Bowe Bergdahl "Bowe Bergdahl served the United States with honor and distinction." — a misleading Word-Narrative that was factually discounted immediately. "Does President Obama have a clear plan for solving the country's problems? To put these percentages in perspective, realize that 34% of the people in this country are likely to support Barack Obama no matter what he does — and support him even in the face of factually-proven incompetence. This is support from committed Ideologues. So these percentages means that, except for Obama's bedrock base of supporters who agree with him ideologically, ALL other Americans in this country, see Obama as an ineffective leader who doesn't have a clear plan. Given this vote of "no confidence" from the American people, another motive for the timing of the 5-for-1 prisoner swap, may have been to create a Media distraction, that diverts attention away from White House's most pressing problems, like the VA scandal, where at least 40 veterans have died while waiting for Doctor appointments -- and this is 40 deaths at just one VA hospital in Phoenix Arizona. The "fatal waits" have been happening at other VA hospitals throughout the country. Additionally, some VA Hospital administrators have been cooking the books, in order to make it look like veterans were NOT being neglected. They also cooked the books to given the appearance that they had achieved prompt-appointment quotas, and thus 100 Million Dollars were paid out in bonuses to VA administrators who cheated to get the bonus money — a fact that further complicates this scandal. 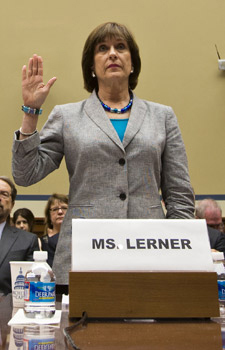 1 - Lois Lerner, the Director of the Tax-Exempt Division at the IRS, has been found in contempt of Congress, and had been ordered to turn over her email correspondence. Amazingly, 7 months later, IRS Chief, John Koskinen, tells Congress that, due to a computer crash, 2 years of email correspondence between Lerner and the White House, between Lerner and the Justice Department, and between Lerner and Democrat leaders in Congress — all these emails have been conveniently lost. "Were IRS emails destroyed deliberately or accidentally?" Of those who answered that IRS emails were destroyed "Deliberately"
1) The illegal alien is a minor; 2) The illegal alien is a pregnant or nursing women; and 3) The illegal alien is a victim of domestic violence, or drug trafficking crimes. As a direct result of President Barack Obama's executive order, thousands of people in from Central America have heard from local Media reports that if they can simply cross the U.S. Border, the Obama Administration's policy is that they will not be deported. But even more impactful than the messages of local Media, are the direct phone calls made by the illegal aliens who have successfully entered the United States and then, make a phone call back their mother country, with the message: "U.S. Border Patrol are detaining for a short time, questioning, then releasing, and few are being deported." Further, these many thousands of Alien Minors have also been coached by human smugglers to say to U.S. Border Patrol Agents: "My life is being threatened by Drug Cartels." The impact of President Obama's Executive-Order-Dream-Act has been dramatic: in 2011, there were 6,000 actual unattended minors that illegally entered the United States. And in 2014, there will be an estimated 60,000 by the end of the year. And if the trend continues,that number will double in 2015, there will be about 130,000 more unattended alien minors enter the United States illegally. 3 - In 2010, Vice President Joe Biden boasted: "I am very optimistic about Iraq. I mean, this could be one of the great achievements of this administration. You're going to see 90,000 American troops come marching home by the end of the summer. You're going to see a stable government in Iraq that is actually moving toward a representative government." But Reality has come crashing down upon Joe Biden's boast. Today, the Facts are not fitting that narrative. Instead, when U.S. troops were removed from Iraq, it created a vacuum where Al Qaeda Terrorists began to enter in. Thus far, Terrorist Fighters for ISIS (Islamic State of Iraq Syria) have taken over the city of Mosel, the second largest city in Iraq, as well as a dozen other cities. And the ISIS flag is flying over Iraq's largest Oil Refinery. In addition to the ISIS/Al Qaeda influx, Iranian influence has also filled the vacuum that resulted from the complete withdrawal of the United States military from Iraq. 4 - Again, 40 Military Veterans have died while waiting many months for their appointments at just one VA hospital in Arizona. Further, 57,000 veterans have been more than 90 days to get an initial appointment at a VA Hospital. "Al Qaeda is resurging. Iraq is disintegrating. And now we may look to Iran to help us stop it. Iran! A terrorist regime responsible for the deaths of thousands of Americans. What could possibly go wrong? We have drawn red lines in Syria we refused to enforce, we stood by as Russia seized part of Ukraine. And now we are releasing five top Taliban leaders as the Afghanistan war is still going. Not to worry, they tell us, Qatar's going to watch them. For a year. We hope." "Domestically, we have a President who has lost the trust of the American people by repeatedly misleading them; he bypassed Congress, the people's representatives, on matters ranging from ObamaCare to immigration law to the point where one of the most respected liberal law professors in the country, Jonathan Turley, has called our President 'the very danger the Constitution was designed to avoid'." "The American public overwhelmingly regrets ObamaCare, our veterans are dying, waiting to see doctors. The IRS intimidates conservative groups. The southern border is compared to a sieve, and the President assures us 'not to worry' — smiling, golfing, and at this very moment, partying with fashion-queen Anna Wintour. Because the fund-raising never stops; not when four Americans die in Benghazi, and not when Baghdad is at the brink." Again, it would not surprise me if the Obama Administration decided to DUMP the 5-for-1 prisoner swap into the News Cycle — hoping that this story might push the VA xcandal, the ISIS crisis in Iraq, the influx of tens of thousands of unattended illegal alien minors, and the IRS Targeting scandal off of Page One. The Obama Administration may have decided, "If there is going to be bad news, we will control which Bad News appears on Page One." Coincidentally, after a whooping 21 months since Ambassador Chris Stevens and three other Americans were killed in Benghazi, the Obama Administration decided to finally apprehend an Al Qaeda terrorist, Ahmed Abu Khatallah, a man who took part in the Benghazi attack. The timing of Khatallah's capture points to the White House most likely trying to manipulate News coverage again. Why do I suspect this? Because news reporters from Fox and CNN were easily able to locate Khatallah and interview him within a few months of the Benghazi attack, yet, it took U.S. military and CIA operatives 21 months to capture this terrorist. AND look at the timing: right in the middle of multiple White House problems, cover-ups, and scandals that were dominating the News. So the White House's motive for the timing of the 5-for-1 prisoner swap, and the capture of Ahmed Abu Khatallah, may have been to create a Media diversions away from other pressing White House problems. I bring up Approval Ratings only because the Obama Administration seems more concerned about Approval Ratings and Public Opinion, than they do about simply confronting problems and fixing them. I come to this conclusion based upon the Word-Narratives coming from the White House. They are SPINNING at a furious pace, and in the mean time, there are no apologies for failures. Stonewalling seems to be the primary tactic, as the White House simply tries to survive negative News Cycles. Of course, the first time Susan Rice was the spokesperson for the White House, was after the Benghazi Attack where Ambassador Chris Stevens and three other Americans were murdered by Terrorists. "Usama bin Laden is dead and al Qaeda's on the run." I can hear Political Advisors in the White House say: "Mr. President, the Facts don't look good for you on this issue." And then some sort of myopic hubris takes over, where the President and his advisors decide to create an inaccurate Word-Narrative that misleads America. 2) They know that at least half of America is NOT paying attention, so if they can just get liberal-leaning Media to print certain headlines, most Americans are too busy to notice details, and double-check to see if claims suggested by headlines are backed by Facts. "But based on the best information we have to date, what our assessment is as of the present is in fact what began spontaneously in Benghazi as a reaction to what had transpired some hours earlier in Cairo where, of course, as you know, there was a violent protest outside of our embassy — sparked by this hateful video." 2) The White House intentionally lied to steer public opinion in the direction of a misleading Word-Narrative. I'm going with option two, because I don't believe that President Obama and his White House Cabinet and Staff are unintelligent. But multiple examples of White House lies, point to the White House Cabinet and Staff being political Ideologues who are willing to deceive America, instead of being straight-forward and honest. Intentional deception is exposed as we find in Rice's very words, is the inclusion of an excuse, when her prepared Talking Points are found to be wrong. 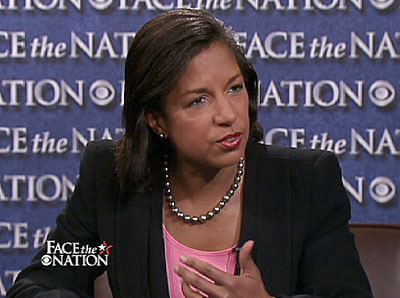 Here's what Ambassador Rice said: "based on the best information we have to date." So, White House political strategists, from the start, built-in an excuse for Rice's Talking Points to be inaccurate, IF or WHEN the Talking Points were factually found to be inaccurate. Clearly, over time, the White House knew it could eventually up-date their Benghazi assessment, if anyone effectively challenged it with firm facts. So, the "story" from the start has this emergency exit: "based on the best information we had to date." "We have informed the American people based upon the CIA Intelligence reports." But what the American People didn't know at the time, was that the White House and CIA deputy director, Mike Morell, sent dozens of emails back and forth in attempts to negotiate exactly what the CIA intelligence report would say. Truth is, the CIA Intelligence Report on Benghazi was not an objective report of the Facts, if it were, then they would have gotten the Facts right from the start, simply by talking to the people on the ground in Benghazi, who experienced the attack first-hand. "RE: PREP CALL with Susan, Saturday at 4:00 pm ET. To underscore that these [Benghazi] protests are rooted in an Internet video, and not a broader failure of policy." Instead of letting Reality BE what it IS, and giving a straight-forward and honest report of Reality, the Obama White House has, again and again, tried to SHAPE and STEER a public perception that does not match the Facts, but instead, is complimentary to the political agenda of the White House. Amazingly, even though they got burned on Susan Rice's Benghazi cover story, the White House was brazen enough to again, send out Rice to explain the 5-for-1 Prisoner Swap, where five high-ranking Taliban leaders were exchanged for one U.S. soldier who "deserted," according to all of Bergdahl's platoon mates. One factor that has encouraged myopic arrogance in the White House, has been the willingness among many Media outlets to simply pass on White House Talking Points. Another factor that tempts myopic hubris is the gullibility of the public. It may be that the majority of Americans really aren't paying attention, and so most people will not know the difference between a Factual Report that serves the Truth, as opposed to a Contrived Talking Point that serves a Political Agenda. President Barack Obama has shown a pattern of politically-motivated deception again, and again. Barack Obama has duly earned the label of "Propaganda President" when he willfully fabricated what Politifact calls "The Lie of the Year." "No matter how we reform health care, we will keep this promise to the American people: If you like your doctor, you will be able to keep your doctor. Period. If you like your health care plan, you will be able to keep your health care plan. Period. No one will take it away. No matter what." "If you like your doctor, you will be able to keep your doctor. Period. If you like your health care plan, you will be able to keep your health care plan. Period." 53% — "do not see [President Obama] as a strong and decisive leader"
53% — "Obama is not honest or trustworthy"
56% — "did not admire Obama"
Huffington Post and Daily Caller report the same numbers. 60% — "Can't manage government effectively"
65% — "Does not have a clear plan for solving the country's problems"
The Internet is largely a propaganda free-for-all where Mud-Slinging and Slander abound. One of the most common approaches of Slander is that of Becoming Offended at the Offensive Actions of another. Propagandists you use this tactic assume that simply by claiming to be Offended, they can create, out of think air, Offensiveness in the object of their Slander. "I am offended at your atrocious behavior." <-- Thus, to an outside observer, the natural reaction is that "someone must have behaved atrociously." Which is whole point of the propaganda: manipulating one's message to influence Public Perception — whether or not that message aligns with the Facts at all. An example of people Becoming Offended, to manipulate Public Perception, is demonstrated in the mascot name for the NFL team in Washington D.C. — Redskins! In 2004 a poll by taken by the Annenberg Public Policy Center of the University of Pennsylvania; they found that only 9% of respondents who identify themselves as "Native Americans," considered the mascot-name for the NFL team to be "offensive." Whereas 90% of respondents were not bothered by the mascot-name "Redskins." Truth is, on an Indian Reservation in Red Mesa Arizona there is a Native American High School that uses the name "Redskins" as their mascot. And in the State of Massachusetts, 40 High Schools have Indian-themed mascots, to include the Tewksbury High School "Redmen." But here's the bottom-line for words that supposedly "slur." There are thousands of words in the English language that can be used with derogatory intent. Offensiveness is determined in those specific occasions where a specific person INTENDS to SLUR. And the words that is used, is almost irrelevant, because it is the INTENT in the heart of the SLURER that determines the SLUR. Now, it is true that through historical use, certain words become known as "slur" words. Nevertheless, these same words can be used within other contexts without any "slur" meaning at all. Therefore INTENT is the final factor that determines a SLUR. Did the Students and Administration at Red Mesa High School "intend" to SLUR themselves, when they chose "Redskins" as their mascot? Of course not. And within this particular context, the word "Redskins" has no derogatory meaning, but only a positive meaning. The same is true for the use of the term "Redskins" as the mascot for the NFL team in Washington D.C.
Dr Matt explains The Nature of Language and Political Correctness in regard to the "Redskins" controversy. In the new millennium, people need to be wise and discerning, for Propaganda abounds. And unfortunately, Barack Obama, the Propaganda President, is leading the way, and providing a bad example of putting Word-Narratives in the primary position, and putting Facts, Truth, and Reality in the back seat. aside unto empty words and useless discussions." and vain babblings will spread like gangrene." so where there is no babbling talebearer, contention and slander cease."